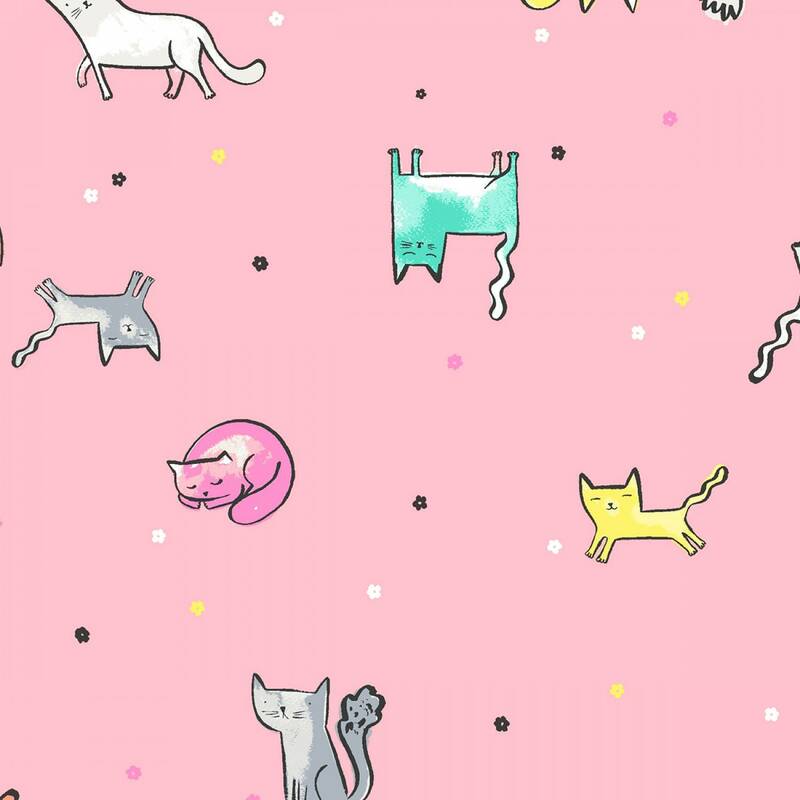 Print ST-1001PAR: Parfait Catitude, part of the "Catitude" collection from Dear Stella Fabrics. Check my shop for other prints in this delightful collection! 100% Cotton Quilting Fabric. Orders of $50 or more ship FREE. All orders less than $50 will be shipped USPS Flat Rate Priority Mail, regardless of the total amount, unless you request custom shipping. Click on the Shipping & Policies tab to see the current rate. If you order 2 yards or less and want a cheaper First Class rate, please message me for a custom order or put a note in the comments at checkout, and I can refund you the difference in postage. Cost of shipping on multiple yardage is estimated. Unfortunately, there is no way to automatically calculate shipping in advance on multiple orders. I will refund the difference between shipping paid and actual costs if the difference is more than $2. 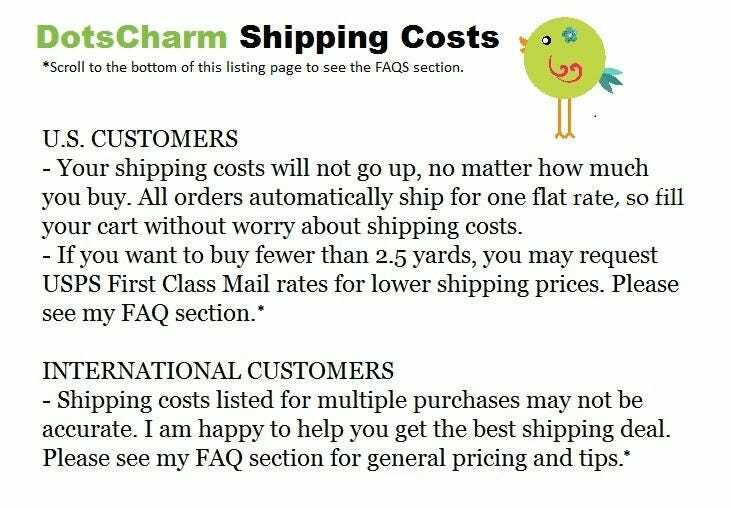 Or you may ask for a custom order to get accurate shipping cost at the time of purchase.